This entry was posted in Christmas, Consumerism, cystic fibrosis, Fun & Humor, Parenting and tagged Christmas, cystic fibrosis, Human behavior, kids by unknowncystic. Bookmark the permalink. So glad you met your Christmas goals! Yeah, I’m the dumb one in the family too. Until someone needs something fixed. I’m the problem solver of all things here in LevyLand. They should call me the wolf. Can’t get insurance approval for your MRI, honey? Hand it over. Can’t get your wifi to work? Hand it over, honey. Can’t get your computer to charge? Hand it over honey. The juicer is jammed? Show it to mom. The TV isn’t working. MOM!!!!! I’m a freakin’ genius at figuring anything out. 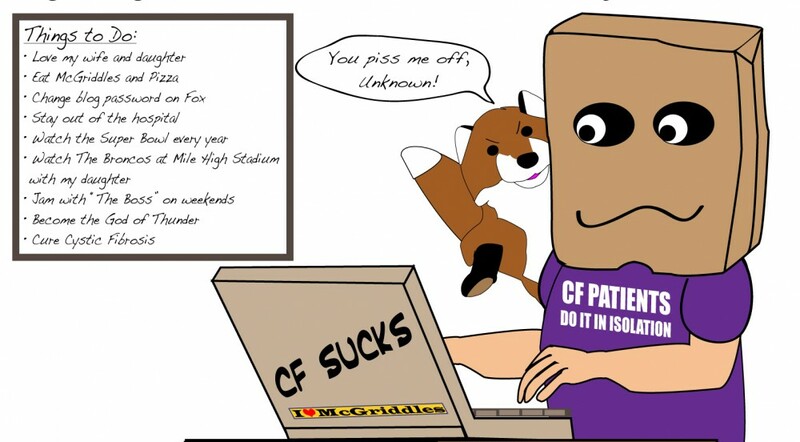 But when I need help navigating the CF care in our local hospital? I call the other genius known as UC. I never would have managed the kid’s first visit without you. Thank you! And with your help, I still looked like the family genius at figuring things out. Yes, I am the fixer in my family, but my wife does handle the insurance BS. Thank the universe for that gift. I think you would have been fine without me on the first visit, but glad you called. Here’s hoping that the two boxes are checked again next year and many years to come so we see the same post title. Don’t feel bad about coming in 3rd with the logic puzzle, Charlie Brown. Uhh UC, I mean. I lose mental challenges to my wife all the time. Think they’re just wired that way. Hand them a remote control to anything and they’re lost. Agree 100% with your remote comment, but my daughter is breaking the mold, as she has me to teach her the mysteries of electronics. She’s running circles around my wife. But then I can’t make any of the meals my wife can. So we’re even.